Do not settle for any less than the best when it comes to a good night’s rest. We may be biased, but we think our Madison Modern Platform Bed is nothing short of spectacular and is one of the best options out there for stylish sleeping. 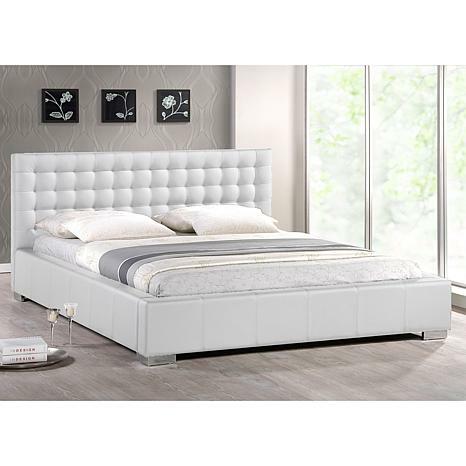 This queen-sized platform bed is made with MDF, plywood and hardwood frame and contemporary leather-like upholstery, which is softened with an underlying layer of foam padding. Mirrored legs flank the bottom, further adding to the modern look. This was an amazing looking bed. The headboard is slightly too low for my taste. It was easy to put together, took maybe less than an hour or two. One person job! The quality was extremely pleasing. I received it actually earlier than anticipated and it was very easy to set up! 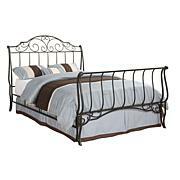 Fast delivery easy to put together .Beautiful bed. put our new mattress in and sleep great. Such an attractive piece of furniture. My husband and I love it..We got the black one. Ordered bed on a Saturday and was delivered in just 6 days. Purchased it in black and. Took about 1 hour to put together and it looks great. Its quite sturdy and provided great support for my mattress. I definitely did well with this bed. I highly recommend! Its looks amazing, I recently bought the Madison Modern Bed in black. It was every thing I want and more. I recommend this bed to everyone. It's worth every penny.